Building owners and property managers are choosing metal roofing systems for their buildings much more frequently. This is due to the advances in installation processes and quality materials. It used to be that metal roofing systems were unreliable, but that has changed with todays current systems. 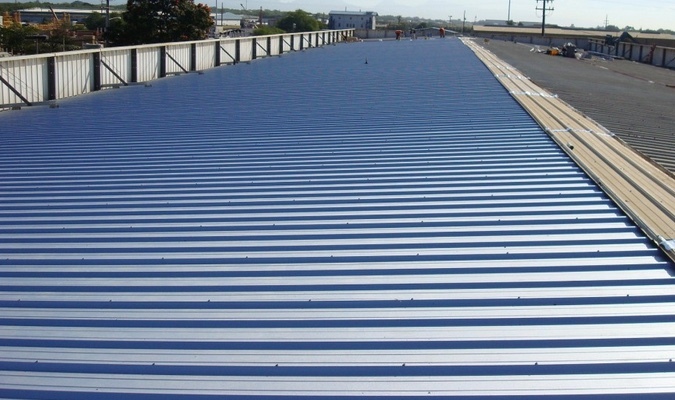 Their long lifespans are one of the most compelling features of todays commercial metal roofing systems. You can get as many as 50 years out of a metal roof with a regular routine on inspections and maintenance. Conventional roofing and metal roofing are similar in their maintenance needs. A well rounded and experience commercial metal roofing contractor will have a history with most types of metal roofing installation and applications. while doing regular maintenance on a metal roof, they’ll be able to recognize the typical issues that will need to be addressed. Long Lifespans – Metal roofing is very durable. They can last as long as your building itself if you properly maintain it, sometimes as long as 50 years. Their installation process is easier and faster due to the light weight of the materials used, opposed to other roofing systems. The demolition portion of an installation is greatly reduced, due to the ability to install them over the existing roof on a building. Water Resistance – Metal roofing holds up well in inclement weather because of its strong, solid construction. It stands up well to all kinds of extreme weather or calamities – driving rain, hail, high wind or insect infestations. When installed well and galvanized, they’re very resistant to rot and rust. Fire Retardant – If there are no existing flammable material that they are installed over, they’ll save you expense on your property insurance premiums. No matter what your roof is built from, you’ll have lightning strikes. However, despite what you may have heard, metal roofing is no more susceptible to it than other roofing systems. What you’ll want to do to combat this is to install a lightning rod on the top of the roof as its highest point. Water Tightness – Due to their surfaces, which are conducive to snow and water sliding off, they are great at keeping moisture out of your property. Energy Savings – they will save you money on your energy bills by reflecting sunlight and heat away from the building. Between the roof and the structure below it, there’s a gap that exists. In cold winter months, this gap will ventilate and reflect thermal warmth back into the building. Heavier Investment – At a cost of anywhere from $200 to $500 per square, metal roofing is more costly upfront than other types of roofing systems. However, when you factor in the expected lifespan of a metal roofing system, your ROI over time will be much greater than these other types of roofs, increasing the actual value of the building itself. More Sound from Above – You may need to use some sheathing or soundproofing insulation to mitigate the sound of heavy rain on your property, as the sound will resonate more on a metal roof than other more conventional types. Denting and Chipping – You’ll want to invest in products that will guaranty against footprints and denting, as metal roofing systems are more prone to damage from things like hail. 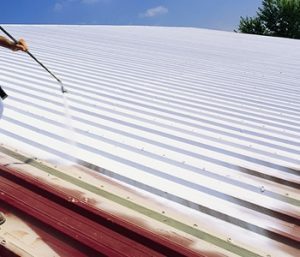 Be Careful Walking On It – Metal roofing can be slick by its nature, which can work well for having water and organic materials sliding off the roof, if you decide to go up there yourself, be careful and watch your step. There are architecturally desirable materials that are more textured and will be easier to walk on and guard against slipping better than others. There are 4 common mistakes made during the installation process that will facilitate leaking at some point. Your chosen commercial metal roofing contractor should be aware of these issues and be able to point them out during the inspection process. Poorly installed tape sealant under the screw heads. Poor caulking between the trim and roof panels. Sealant at the panel laps and eve connections that aren’t installed properly. Roofing seam spaces that have bar and caulk sealants used improperly. Bad flashing installed around them. Expansion and contraction that have caused metal curbs seams to break. Penetration curbs hiding standing or pooling water. Wood nailers that were omitted that are causing base flashing to separate. Deteriorating stripping over the edge of metal flanges. Improperly applied primer and stripping on the metal’s surfaces. Penetration flashings that have metal flanges separating and fasteners that are backing out. Obvious movement occurring between pipes, stack vents and their flashing. Here at Taurus Elite Commercial Roof Systems, 512-332-4422, we have been providing commercial roofing services to Austin, Texas and the surrounding communities for over 20 years, including commercial metal roof repair, commercial metal roof restoration, commercial metal roof replacement and commercial metal roof installation. Call us when you need someone you can trust for advice on your commercial metal roof.